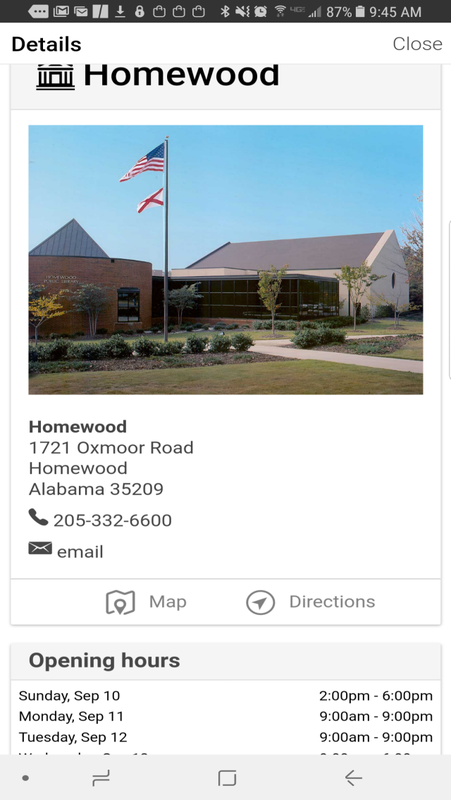 Get the all new Homewood Public Library Mobile App today! The Homewood Library Mobile App has been redesigned, bringing eService’s to your fingertips. Connect directly to our online collections of eBooks, eAudio, Movies, Music, Comics, and other digital items. Find out about the latest library news and events – and even register for them directly from your phone or tablet! And to top it off Homewood Librarians will be offering you their recommended reads, with new selections every month! What are you waiting for, click the icon below to download your free copy today!